The Silvretta Parkhotel is a classic 4 star hotel and is the largest in Klosters with a total of 200 beds in 95 rooms and suites. 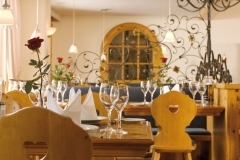 It is family run and managed by the owner’s two children, Christian and Ulrike Erpenbeck. There is an informal atmosphere with modern and easy going hospitality, which is nonetheless courteous and to a very high standard. The atmosphere this creates makes it an ideal environment for family holidays. This is further enhanced by the wide range of facilities including a games room, bowling alley, a children’s playroom and crèche. The hotel is also used to providing early dinners for younger guests! 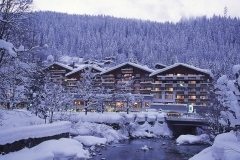 The Silvretta Parkhotel bedrooms are comfortably furnished and come with shower or bath; a small number permit smoking. Many of the rooms and suites can be adapted to accommodate extra beds, while interconnecting doors between some of the rooms increase flexibility for families. With the diversity of the 4 restaurants, visitors are spoilt for choice. In the Panorama Restaurant a different themed buffet is offered every day, while the smaller Stubli focuses on a more Italian cuisine. Local specialities such as fondues are served in the Grischalina, and finally there is the more formal Rotisserie with a 4 course set menu on offer. The Piano Bar is a relaxed place to meet up in the evening where barman Ivan would be pleased to mix you up a specially blended cocktail (while the Piano Bar is non-smoking, there is an outside smokers’ area with cosy lounges and soft blankets). 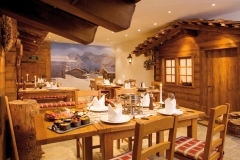 The Silvretta also offers conference facilities, and outside the children’s holiday weeks, the hotel adopts a more sophisticated approach, which lends itself very well to corporate groups. 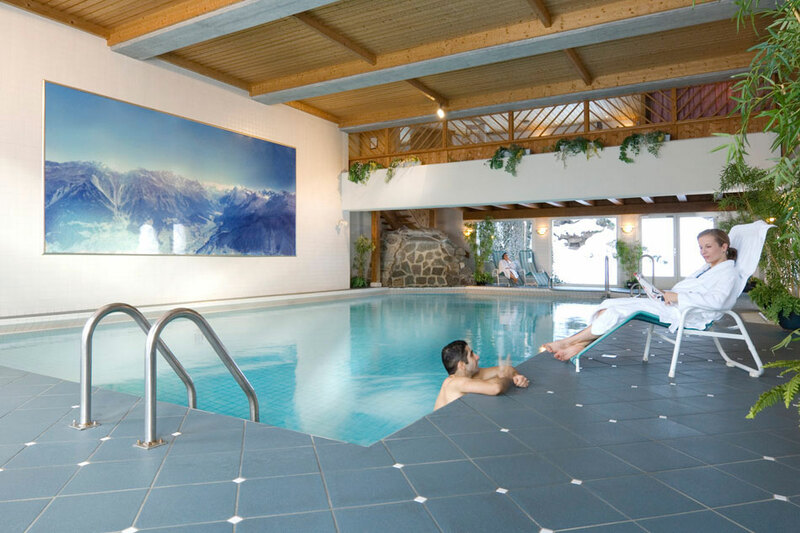 There is also a swimming pool and fitness area which includes jacuzzi, sauna and relaxation room. The Spa offers a wide range of massages and beauty treatments. With only a short 5 minute walk to Klosters’ Gotschna Lift Station and the wide range of services, this friendly hotel is the first choice for many families visiting Klosters.